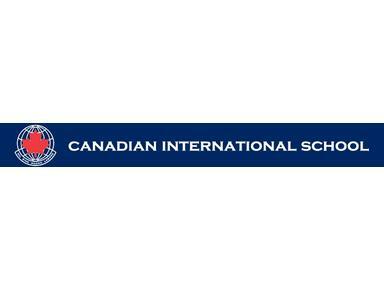 The Canadian International School (CIS) opened its doors in 1990 and has earned a reputation for excellence. This standing has been achieved through years of successful practice and a firm understanding and implementation of educational research and teaching methodologies tailored for the global student. Our students are an embodiment of our school motto "learning today, leading tomorrow". The Canadian International School in Singapore offers the International Baccalaureate Primary Years Programme (IB PYP), International Baccalaureate Middle Years Programme (IB MYP) and International Baccalaureate Diploma (IB DP), for students from Early Childhood Education to Grade 12. CIS is also accredited by the Ontario Ministry of Education, Canada. Our graduates receive the Ontario Secondary School Diploma or the IB Diploma, both of which are recognized around the world by major universities. We are also very pleased to be an associate member in the Council of International Schools. This prestigious designation puts us in the forefront of education leaders in the world. The CIS student body represents a truly diverse population from over fifty countries and is served by a comprehensive and challenging curriculum taught by highly qualified and dedicated teachers. Our focus is on the needs of each individual, stimulating their inherent curiosity thereby inspiring them to become lifelong learners. Our students pursue excellence in the mastery of creative problem solving, effective communication, leadership, international understanding, and responsible citizenship.